The Sunpak FlexPodDX Tripod is all you need to get the shot with your compact digital camera or camcorder. The FlexPodDX makes it easy to get better and sharper photos anytime. 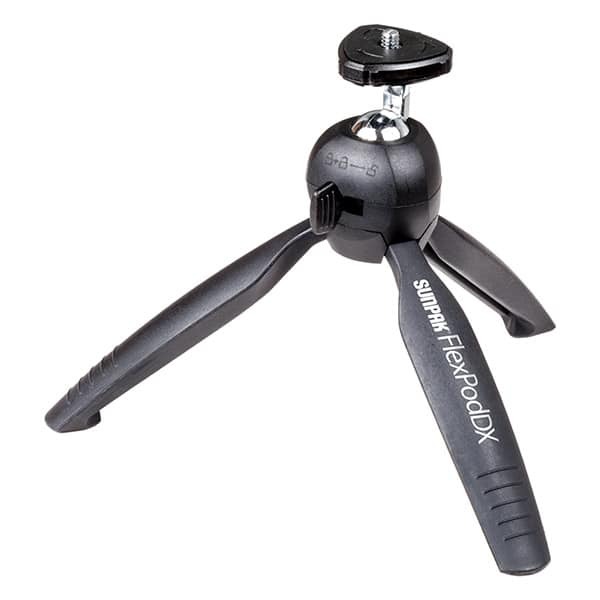 Being super compact it is the take-anywhere tabletop tripod to keep in your camera bag. Its light weight design makes it easy to set up in seconds. It’s professional ball head design make and polycarbonate legs with non-slip rubber feet make it extremely stable. It stands at 5.25” high and also comes with adapters for GoPro and Smartphones. 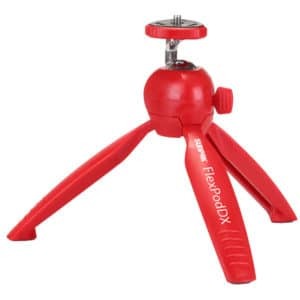 It’s the only tabletop tripod you’ll ever need. Weight: Less than 7 oz.